The addition of Acer's R11 and the 2015 Chromebook Pixel brings the total number of Chromebooks able to run the Play Store to three. Google recently added Google Play support to two more Chromebooks in Chrome OS's developer channel. That means you can now run Android apps on three separate Chromebooks. The two new Chromebooks include the Acer Chromebook R 11 C738T, and Google’s own Chromebook Pixel, although in the 2015 version only. Google had previously announced on its Chromium site that support would be coming to the two Chromebooks in either June or July, but didn’t provide a firm date. The Play Store update recently went live for users running the developer version of Chrome OS, as first reported by Chrome Story. 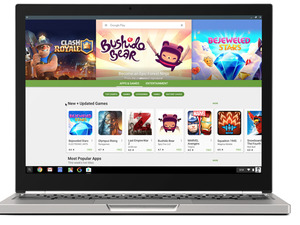 More than 60 Chromebooks and other Chrome OS devices are slated to get Google Play support sometime in 2016 or 2017. 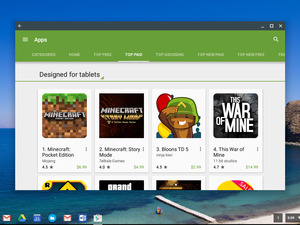 The Asus Chromebook Flip was the first device to get early Google Play support in mid-June. When Google Play support rolls out to these devices they will be able to run Android apps just like they would on an Android device. 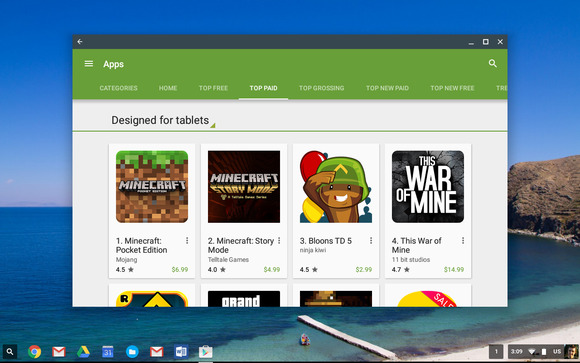 Specifically, Chromebooks run the Play Store as if they were tablets running Android 6.0 Marshmallow. The impact on you at home: In our early tests with the Play Store on a Chromebook Flip the overall experience was pretty amazing. You get incredible access to the wealth of apps on the Play Store, and the apps themselves work very well. It’s not perfect, mind you. There are problems with notifications, and sometimes you’ll experience an app crash or freeze—it is an early preview release, after all. You also either have to run the apps in full screen mode or in a window with a fixed size. Nevertheless, it’s a promising start to Android apps on a Chromebook, which will likely improve by the time the feature officially rolls out to the mainstream build of Chrome OS.